Although the name isn’t very enticing, I had to put “freezer” in the title. Why, you may ask? Well it’s simple, this candy needs to be stored in the freezer, and eaten straight from the freezer. So this is my disclaimer, I’m putting this out there right now, this chocolate will melt quickly! It does not travel well…. but it doesn’t have to. This is the perfect late night snack for those sweet tooth people (myself included). So think of it like a frozen dessert, you wouldn’t pack icecream in your child’s lunchbox! 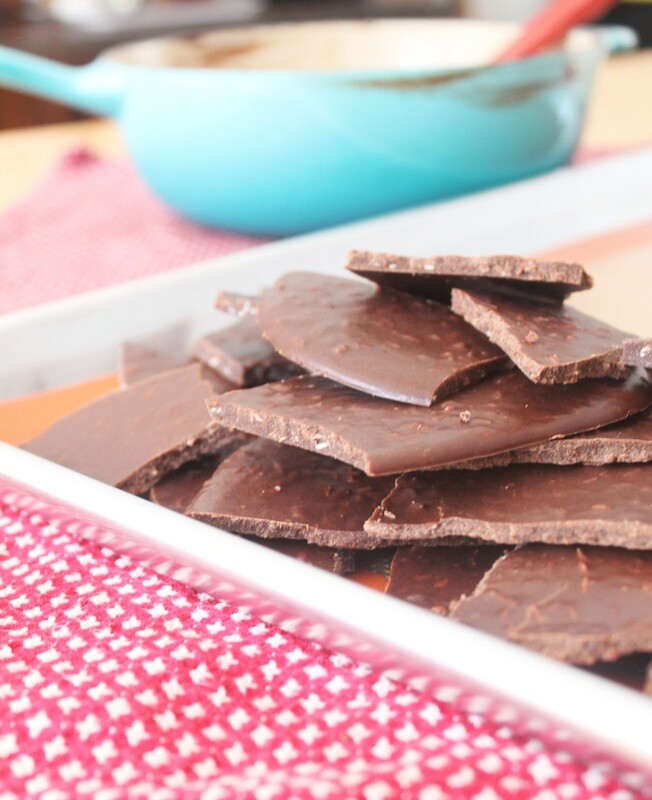 I have made several variations of the chocolate bark and you can adjust the recipe to fit your personal preferences, varying nuts, adding raisins, etc. 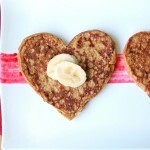 My personal favorite is just peanut butter with the shredded coconut for a little texture. Be careful guys, this stuff is addictive. It’s very easy to put together, just a minute on the stove, then about 30 minutes to set in the freezer and voila! 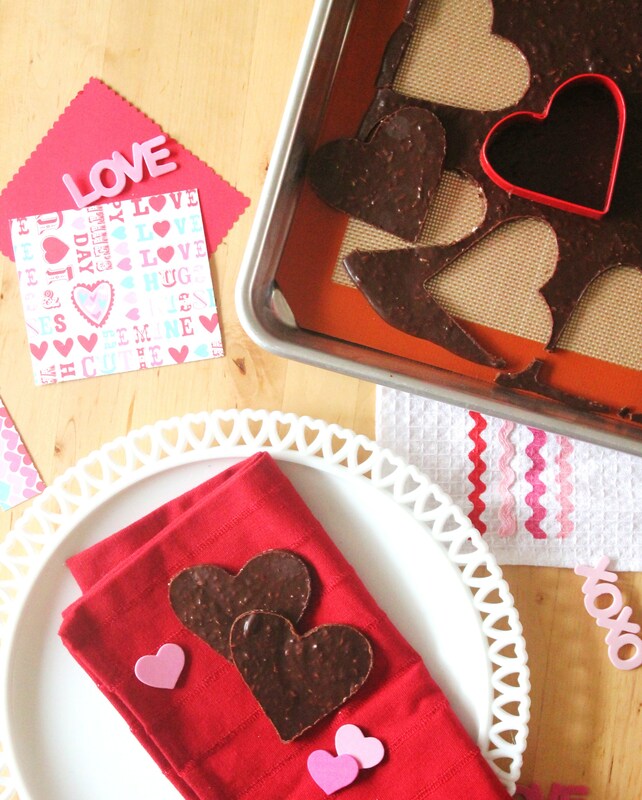 Homemade chocolate bark that isn’t full of sugar, dairy and other nonsense. 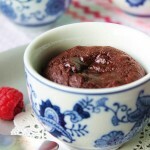 In a saucepan over medium heat, melt together coconut oil, honey, nut butter and cocoa powder. Mix until smooth. Remove from heat. 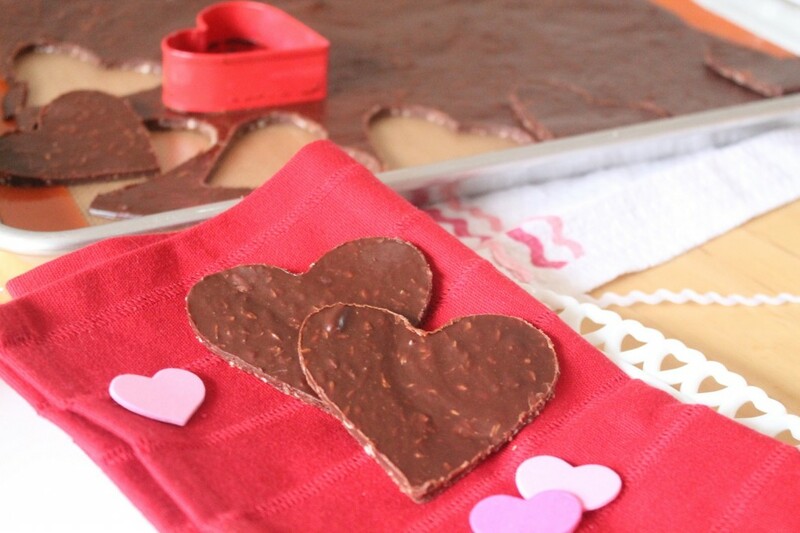 Spread onto a silpat or parchment lined sheet tray into an even layer. Sprinkle with additional toppings if desired. Place in freezer. Allow to chill for 30 minutes or until set. Remove from freezer and break into pieces. 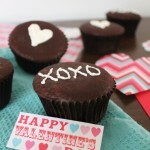 *To make hearts or different shapes, allow the chocolate to sit on the counter for a few minutes until slightly thawed. See we can still have heart shaped candies! I’m going to do my best to keep these chocolates hidden in the freezer until Friday! And in case anyone has wondered the status of my health, I’m still in remission and med free! I was just very busy during the holidays and spending time with the kids. We are also in the midst of building a house and it has taken up much of my time and energy. You can follow me on Instagram (@ shelley608) if you would like to keep in touch and see the progress of our house. Blogging has definitely been put on the backburner until things settle down a bit and we are moved in. This recipe was just too good and easy not to post and share with you all. I hope you guys enjoy it as much as I do. 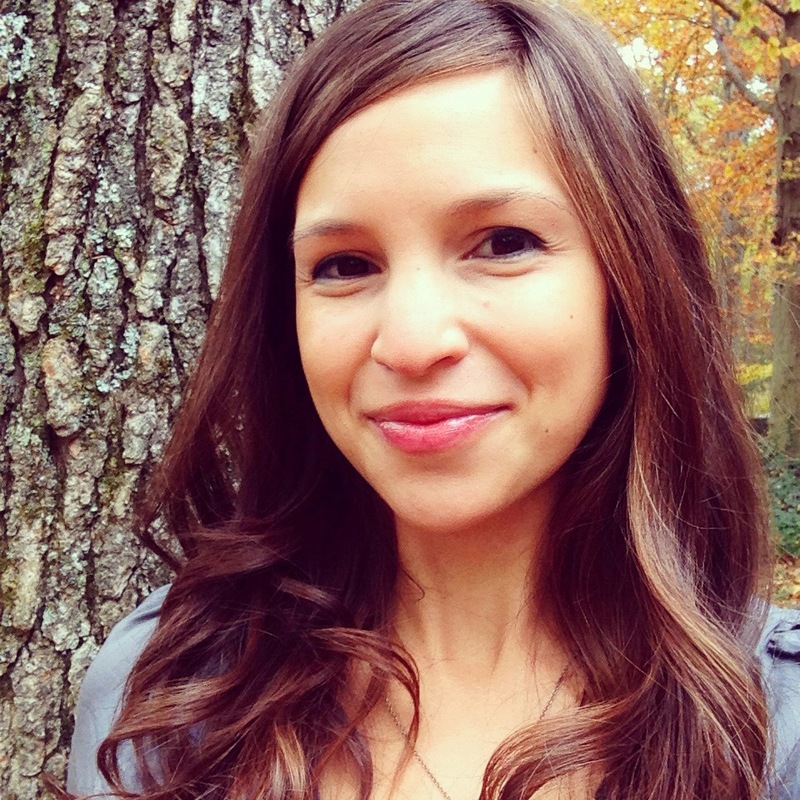 This entry was posted in Gluten Free, Life and tagged dairy free, gluten free, grain free, paleo. Bookmark the permalink. Freezer chocolates are delish!! My daughter told me they remind her to the stove top chocolate oatmeal no bake cookies. They pass my most important criteria, EASY and DELICIOUS!! I used sunbutter and stirred in coconut and slivered almonds. A definite winner. This recipe is so easy to make and is delicious! We just whipped up a batch and I am having a hard time not eating it all in one sitting! You were right, Michelle, it is addictive! Freezer chocolate is delicious. I am huge fan of chocolates and candies. Usually I love to buy chocolates from online candy store.